Dedicated teams to support law firms and professional service providers. We understand the exceptional requirements of legal and professional firms, so we have a dedicated team trained to manage their calls. We provide an effective solution to the challenge of business continuity and disaster recovery, ensuring compliance with industry standards. Our remote switchboards are an effective way to improve and modernise communication methods in large firms and practices. Our service ensures seamless communication within your organisation, 24 hours a day, 7 days a week. When callers request to talk to specific members of your team, we can transfer your calls or take a message and ensure it is passed on. All client communication, new callers, and claim enquiries are provided the highest standard of service at all times to protect and reinforce your professional reputation. In order to remain compliant with chapter 7 of the SRA code of conduct, legal practices must have adequate systems in place to ensure business continuity. Outsourcing telephone answering to CALLCARE can be an integral part of your business continuity plan. We will ensure that whether your business is affected by a power cut, systems failure, or staff absences due to sickness, your lines of communication will remain open at all times. 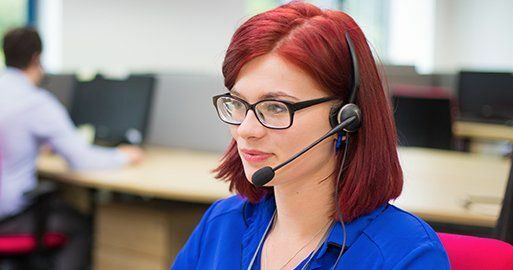 We have 3 call centres across Manchester and Cambridge, all on different power grids to ensure our service can be maintained even during a power outage. Talk to us today about how we can help to keep you SRA compliant. We ensure all your calls are answered via an extended specialist team. Support your existing team, specifically during spikes in call traffic. Covering out of hours calls and acting as an overflow service. Remote switchboard services improve communication in large firms. directly attribute costs to new customer leads, as opposed to salaries. Pay on demand for 24/7/365 services. Inbound training equips operators with the professionalism required. Reduce overheads and operational costs, whilst increasing ROI. Filtering cold calls enables increased productivity amongst your staff. We understanding the importance of DSCC calls when received. All clients are provided with the highest level of customer service. We adhere to the exceptional requirements of legal firms. Transfers to specific solicitors ensures immediate client communication. We fully profile claims before forwarding caller details over to you. Our operators helps protect & reinforce your firm's reputation. Seamless communication with clients 24/7/365. working hours beyond your office hours. who would otherwise not be able to reach you. We provide an effective solution to business continuity and disaster recovery, in compliance with chapter 7 of the SRA code of conduct. Intelligent call handling maintains your firm's industry standards. when transferring calls and alerting your team of emergencies.